“What type of education we’re talking about--it’s not the instruction, but the transformation it brings about,” he added. Prof. Parsuramen had been the Minister of Education in Mauritius for 13 years, following which he had worked at World Bank (1997-1998) and as the Director of UNESCO (1998-2011). He retired in order to devote his life to “giving back.” He presently runs the charitable Global Rainbow Foundation, which empowers differently abled persons and vulnerable groups through education and training, and provides them the opportunity for holistic human development. “I fully appreciate the opportunity of being in the divine presence of His Holiness Jagadguru Swami Isa and his guidance and blessings to me have re-energized my determination to serve humanity,” said Prof. Parsuramen. 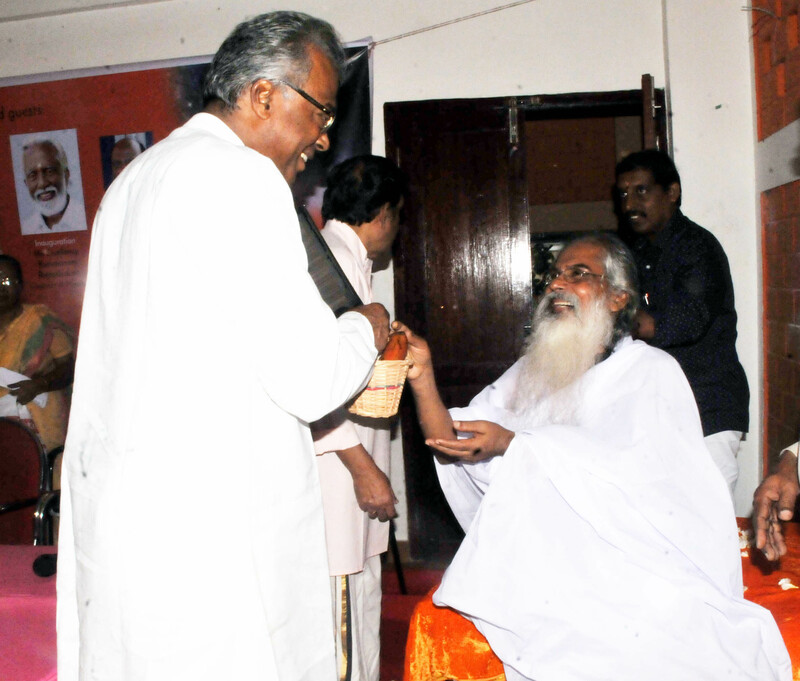 Swami Isa, Founder of the GEP, charged the new GEP National Centre with bringing GEP’s vision of global energy balance to the people of Mauritius, and inviting them to contribute to the movement to empower ‘humane’ beings all over the world. A few days later, Prof. Parsuramen had a tête-à-tête with the Speaker, Dr. C.V. Ananda Bose, in New Delhi about the global mission of GEP and especially in relation to education.